My midlife came early – too early. When I missed three consecutive cycles at 41, I was convinced I was pregnant. It didn’t even occur to me that I might be in menopause but when the pregnancy test came back negative, I started to draw my own conclusions. For a few days I was paralyzed with fear, but with my study of archetypes and the goddesses, I knew I had to draw on their ancient wisdom to help me work through this. My awakening came when I asked the goddesses for guidance. I knew I had to turn this situation around and through my morning meditations, Aphrodite come through loud and clear. 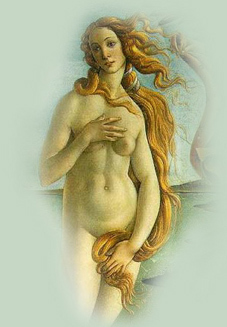 Aphrodite represents deep self-love and she became my patron goddess. For those of you who think the goddesses are “fluffy”, or too “out there”, here’s a quote from Marianne Williamson. “The Goddess doesn’t enter us from outside; she emerges from deep within. She is not held back by what happened in the past. She is conceived in consciousness, born in love, and nurtured by higher thinking. She is integrity and value, created and sustained by hard work of personal growth and the discipline of a life lived actively in hope.”- Marianne Williamson. Working with the goddesses requires a daily discipline. Here are the steps I took to my awakening to Midlife Joy – forget Midlife Crisis and welcome to the Third Act of your life. Self-care is something that is learned. It is purposeful and continuous. It is defined as the maintenance of your well-being, personal health and development. Now is the time to start looking at your sleep pattern to see if you’re getting enough sleep. It’s time to look at your diet, possibly kicking that sugar habit and it’s time to up the ante on your water intake. These are my favorite reminders to stay on track. Don’t be a “people pleaser”. Where do you fall on the scale of 1-10 with 10 being the highest? What’s holding you back from taking the time for self-care? What do you think your life would be like if you were to practice better self-care? Self-love noun-regard for one’s own well-being and happiness. “Loving yourself does not mean being self-absorbed. It means welcoming yourself as the most honored guest in your own heart.” – Margo Anand. I used to define self-love as being selfish, self-absorbed, and the only person one cares about is themselves. This is simply not true. What is wrong with wanting things, being happy and taking care of our own well-being? I used to put my clients first. I’d schedule sessions on my day off until I reached burn-out and spent days recovering in bed. I had to let go of the martyr syndrome and allow myself some self-love. I had to claim that I was worthy. How do you define self- love? What is the first thing you think of when you hear the world self-love? …even when it doesn’t exist. It’s a cliché but stop and smell the roses. Slow down. At this midlife time you’ll start to realize that life moves so fast and rushing cuts of sensuality. So savor this precious time. Take a moment to notice the beauty around you. Notice the light in a room. Immerse yourself in morning stillness. Write down some ways to incorporate what you find pleasing and beautiful into your life. Treat your body like a temple and please, stop the body shame! Embrace your feminine curves. Decide to spend a day in bed without guilt; have breakfast in bed with your favorite books and magazines. Listen to soothing music and dream. Make your bathing time a ritual and take a long sensual aromatherapy bath with candles and music you love. Aphrodite would renew herself by bathing in the sacred waters on Pathos so consider this a renewal time for you. Your bedroom is your sacred, aphrodisiacal sanctuary. Introduce more sensual elements into your décor; satiny fabrics, small pillows, candles, pictures of romantic places, perhaps even a picture of Botticelli’s Birth of Venus. Design a sensual evening with your partner and cook a luscious meal with candlelight and music. Wear your softest, most sensual clothes. Take your time in whatever you do and remember rushing cuts off sensuality. Dance, dance, dance. Belly dancing is a wonderful way to move your hips but any kind of dancing from flamingo to tango to salsa to free form dancing can put you in touch with your body’s sensual rhythms. Start a gratitude journal and begin or end the day with five things you’re grateful for. Celebrate your successes no matter how small. Success breeds success. Reward yourself with celebration of any kind. Take the afternoon off work and take walk in nature and leave your phone at home. Curl up with a good book and some hot tea. Ask yourself what can I do to incorporate more of Aphrodite in my life? Write down the answers that surface. Allow them to be personal and specific. Write down your feelings about doing things that please you. Did you usually judge yourself as unworthy of experiencing pleasure? As you embrace this chapter, remember to be present in all stages of your life. Midlife Joy is all about perspective, acceptance and surrender. Each new phase can take us to a deeper state of knowing if we only just remain open to all that life has to teach us. Consider writing the affirmation on a card and place it where you’ll see if every day as a kind reminder. Finally get support from a women’s circle. In times of crisis women naturally “tend and befriend” so you can benefit from a sacred circle and make some new friends. Whatever serves you best, I encourage you to let your Midlife Joy find you fully alive feeling full of purpose. The future is feminine and we have to be ready!